An excellent out and back route or a great option to link to other trails in the Station Flats area. Another trail offering amazing single track with good flow up and down. 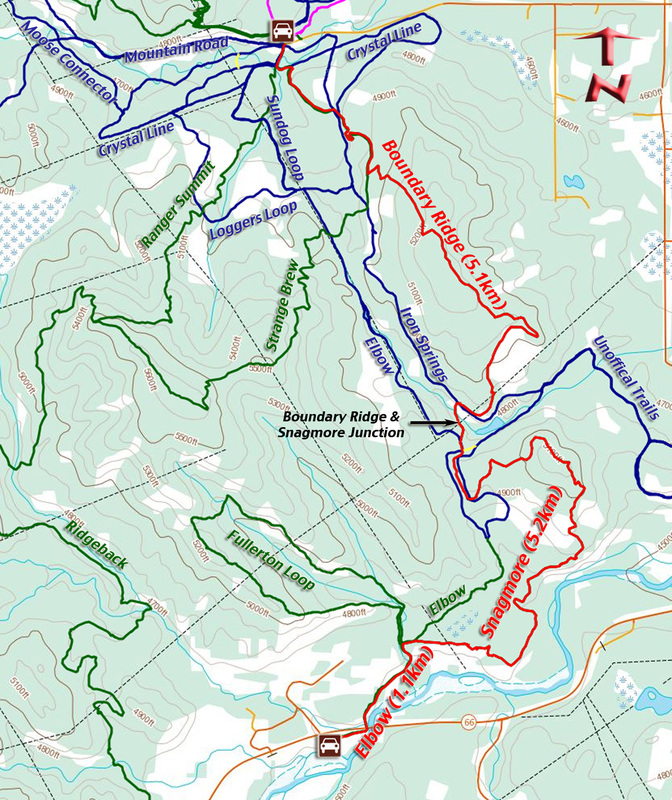 Trail Description: (from West Bragg) Start at Trailhead #1, head south across the Bragg Creek bridge. Turn left at the four way trail intersection and cross a second bridge. Look for the Strange Brew entrance off of your right as you crest the hill. Strange Brew and Boundary Ridge share the trail. Cross Sundog Loop and Crystal Line before Strange Brew and Boundary Ridge separate with Boundary Ridge doing a sharp turn to the left. Continue climbing steadily for 180+ meters until you reach the elevation peak. From here enjoy a quick 130 meter descent into the Iron Creek Valley. 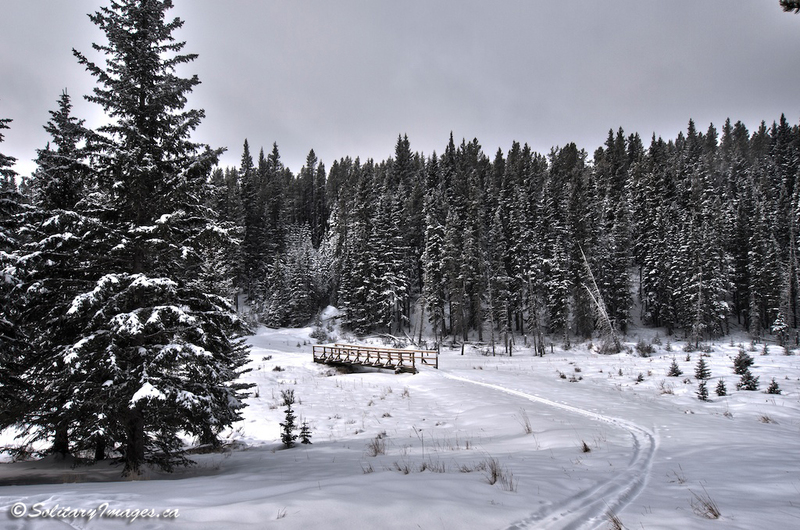 Take a bridge across Iron Creek (the end of Boundary Ridge and the Start of Snagmore) before climbing another 100m to the final descent into the Elbow River Drainage. This trail provides excellent single track that'll connect alongside the Elbow River and follow it around to join Elbow Trail. From here you have the option to head down Elbow Trail to Allan Bill Pond (1.1km), head back to West Bragg on Sugar Mama, Elbow, Iron Springs, or head out on the Fullerton Loop.